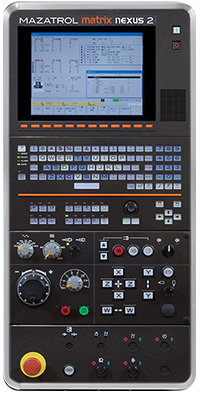 Our CNC controls, which we categorize by levels of capability, are the industry's most versatile and easy-to-use. By developing our own advanced control technology that perfectly complements our comprehensive line of innovative, productive machine tools and systems, we are able to meet any manufacturing requirement. While our 3 levels of controls incorporate different functions, from the more basic to the highly advanced, they allow for both conversational and EIA/ISO programming, as well as include the best hardware and software possible to ensure our machines are simple to program and perform with optimum efficiency. Level 1 Controls, which include the SMART CNC control, enable inexperienced operators to quickly and easily develop machining programs as well as achieve fast job set up. Programming times are 75% faster when compared to machines using EIA/ISO systems, making these controls especially effective when processing workpieces only requiring simple turning, milling, drilling and tapping operations. 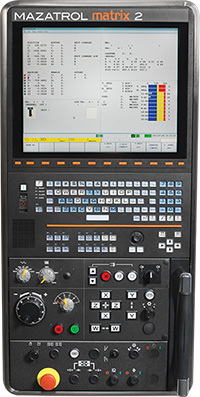 Level 2 Controls, which include the MATRIX NEXUS and MATRIX NEXUS 2, simplify Multi-Tasking operations for parts requiring off-center-line machining and angled drilling, milling or tapping. With unequalled innovation for conversational programming, these controls incorporate a wide variety of advanced features for increased productivity through high-speed, high-accuracy machining as well as ease of operation. Level 3 Controls, which include the MATRIX and MATRIX 2, provide extremely fast processing speed, excellent cornering, superior part surface finishes and reduced cycle times. Through advanced hardware and software functionality, these controls bring unbeatable accuracy and increased productivity to highly complex applications requiring Multi-Tasking operations; full, simultaneous 5-axis machining, and the incorporation of automation.